October | 2014 | cut it out, stitch it up! This Sewaholic Renfrew was such a quick make. I cut it out one evening and then stitched it up the next evening which took 1 ¾ hours. I used the 4 thread overlocker for all stitching except for attaching the clear elastic to the shoulder seams and the zig zag top stitch around the neck edge. The fabric is a wool mix single jersey, 70% wool, 27% cotton, 3% spandex, which I found whilst browsing My Fabrics. It was on sale at £4 per metre so I bought 1.5mt. 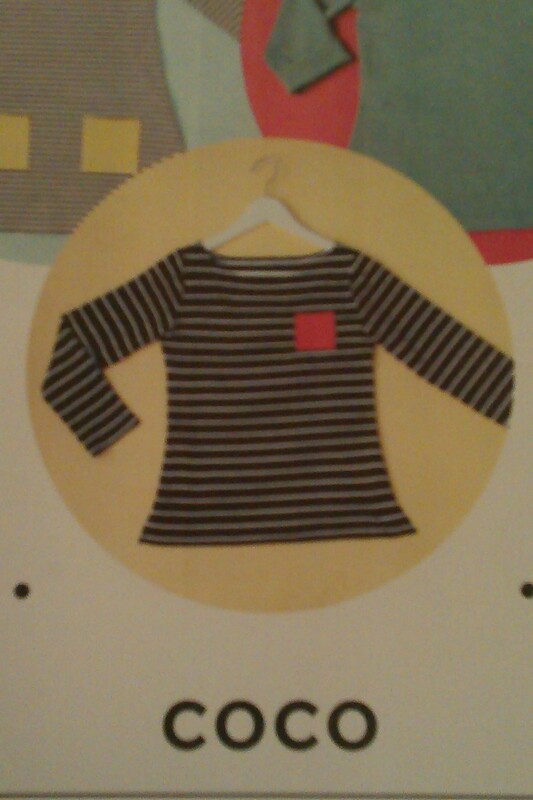 It’s quite a lightweight jersey, lighter than a tee- shirt weight and as such this top needs to be worn with a black bra. I didn’t quite know what to expect when I ordered it but at that price I couldn’t go wrong. The washing instructions were to handwash so I pre-washed it using the wool wash on my machine, I never handwash if I can get away with it. One change I made to the pattern was that I cut the cowl neck all in one piece. The cowl is made from a double layer of fabric with a seam along the top edge and one seam down the centre back. The pattern piece does have a bit of shaping along the top edge, it curves downwards slightly but I didn’t think it would be noticeable if the seam was replaced by fabric on the fold. You do end up with a whopping big pattern piece which I can see in some cases wouldn’t be good for fabric layout but as I had enough to work with it was OK. I took 2cm off the length of the sleeves then took off another 1cm after fitting and before I attached the cuffs. 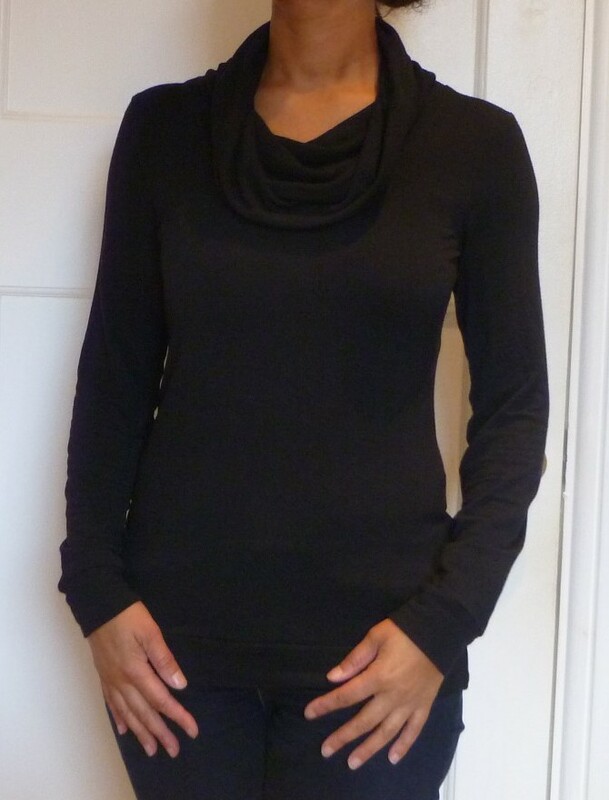 The fabric has great drape is well suited to the cowl neck. Despite the lightweight it is lovely and warm. A plain black top can be a bit boring but I have at least 3 patterned skirts with black in and needed a top to go with them. It looks great with this Liberty jersey skirt. I am so pleased with these; they have turned out exactly how I imagined. The yarn was from Five Moons. 75% superwash merino 25% nylon. It was first time I have used them. My order arrived the next day with a gift of a 5gm mini skein. The colours I used were Raincloud and Miss Scarlet. hand painted yarn from Five Moons. It just looked so beautiful when I unwrapped the package! The pattern is the ‘Hermione everyday socks’ which I have knitted before, using a short row heel. I used 2.5mm double pointed bamboo needles. 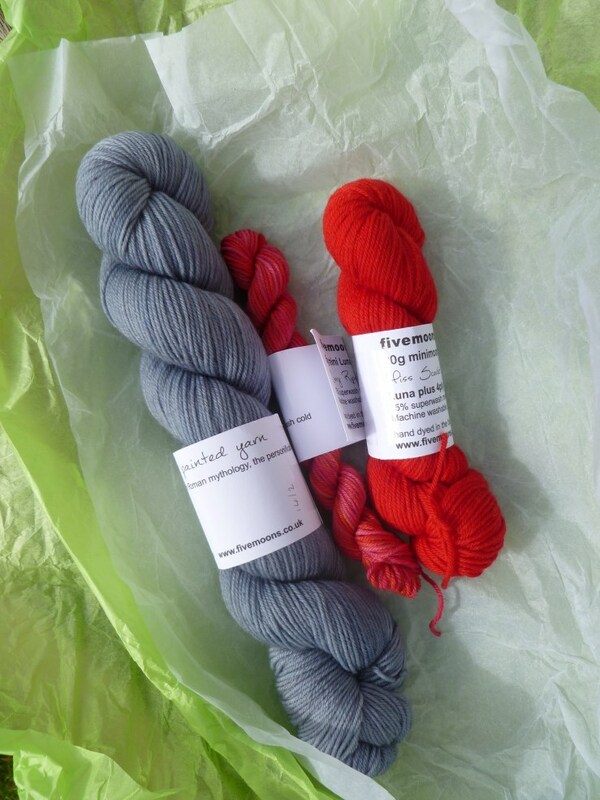 The grey was a 50gm skein and the red 20gms. Normally I buy 100gms to knit a pair of socks but usually have quite a bit left over so I took a chance that 70gm would do the job. 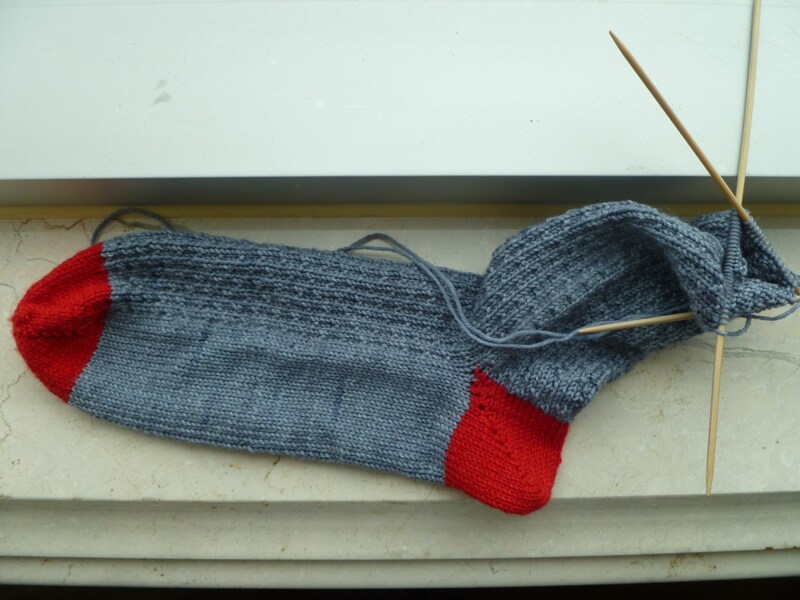 As I knew it was going to be tight I thought that toe up would be the sensible way to knit the socks – as you have flexibility with the leg length but the foot length must be right. I divided each ball into two. I’m lucky to have access to fabric weighing scales at work so with the 50gms I rolled into two balls and weighed before I separated. Toe up is new for me. After a search of You Tube I came across ‘Judy’s magic cast on’. I struggled a bit to start with and had to put it down and come back to it the next evening. A lot of the knitting tutorials like this use bigger needles and thicker yarn as it makes it easier and clearer to demonstrate. When I tried again I used slightly bigger needles just to cast on and this time it worked out. I used the short row heel again; I think for a colour blocked heel it’s going to be the only way. I learnt on my first pair that you need to keep your yarn tight when wrapping the stitches. I followed this tutorial from ‘come to silver’. I knitted the leg the full length of 25gm ball and finished with 15 rows of 1×1 rib. 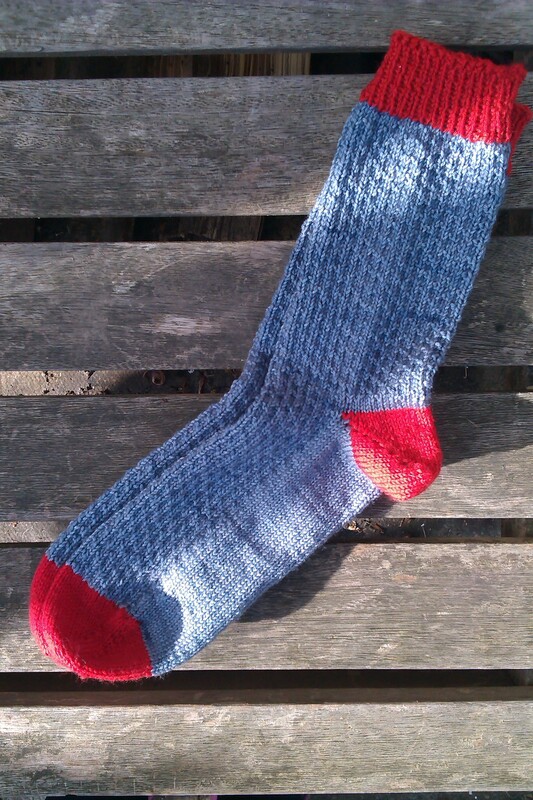 I was near to the end of casting off the first sock when I realised that there wasn’t much stretch in the opening. I unpicked the cast off and started again trying to keep some slack. I could get it on my foot – just, and realised there must be a better method. After a Google search I found ‘Jenny’s surprisingly stretchy bind off’. I don’t know why I didn’t look after the first attempt! This involves creating a new stitch next to each stitch whilst casting off. You can see the difference in stretch in the photo below. When I cast on the second sock I was able to use the smaller needles and remember the method from memory. I finished the second sock with the new cast off method then went back and unpicked the cast off from the first sock and re-did it. Luckily I hadn’t cut the tail from casting off and it was long enough to include the extra stitches I needed (I took a chance with this and only just made it 🙂 ). 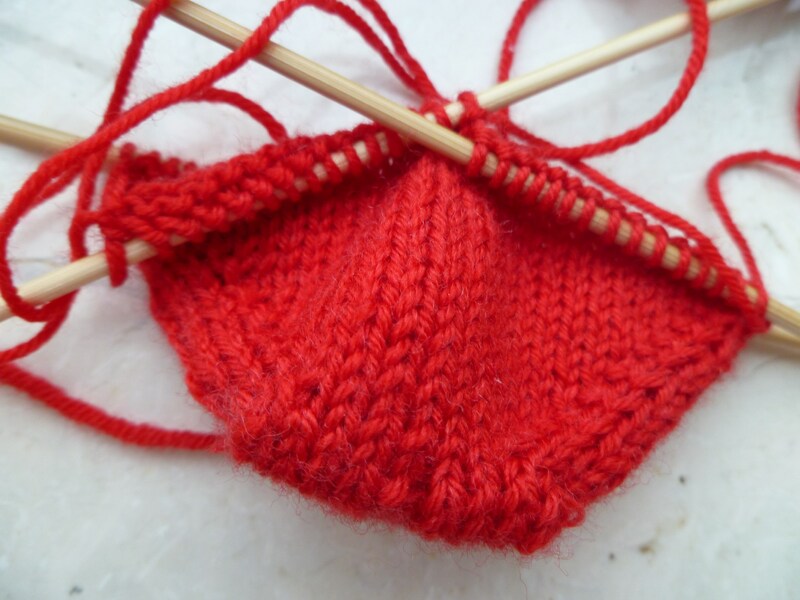 Toe up or cuff down – I like both methods, I think the toe up has been more of a challenge for me and it’s definitely the way to go if you have a limited amount of yarn. You may have noticed there’s a bit of a Blog Hop going around at the moment. Thank you very much to Chris over at Make and Wear for including me in her nominations. I have been challenged with a few questions…. I started reading sewing blogs a couple of years ago. I wanted to be part of the community, I began to leave comments then after a while I felt confident to begin blogging myself. I love reading other’s blogs. I have learnt so much and found new patterns I would have never otherwise heard about. I really enjoy the process of writing up projects and documenting them. I also like putting a bit of your own personality on the page! I’m currently knitting a pair of Hermione’s Everyday Socks. In fact this was a pattern I found from reading Chris’s blog. I’ve leant a couple of new techniques on this pair. It’s the first time I have done toe up so I had to learn the casting on technique and also a super stretchy cast off method for the cuff – which I learnt the hard way…..
My next sewing project will be a Sewaholic Renfrew with the cowl neck. I have just pre-washed some wool mix single jersey and hope to get sewing in the next few days. I’m looking forward to it as I’ll be able to sew it all up using the overlocker. I’m not sure I’m much of a trailblazer and tend to follow the format of make something then blog about it! But I do sometimes cut my own patterns so I try to illustrate how I create the pattern from the basic blocks. I find the artworks for this a bit slow but I’ve find that using Microsoft Excel works best for me as I don’t have access to programmes such as Adobe Illustrator at home. I do try and plan ahead with posts. I have a notebook where I scribble down my ideas of what I would like to make in the coming months and try to put down a realistic time scale. I’d like to post once a week but I’m finding it’s working out at 3 or maybe 4 times a month. I try to remember to take photographs whilst I go along and when the project is finished write it up. I’d like to nominate Zoe who blogs at Make Stuff Do Stuff. Zoe is great with sewing with knits and pattern making for knits. I only plucked up the courage to start sewing with knits just over a year ago and now there is no looking back. I picked up some great tips from her blog. Zoe also made her own most beautiful wedding dress. Since joining the RTW Fast in January this year I’ve come across some great blogs from others who are fasting. Evolution of a Sewing Goddess is one I like to see pop up in my inbox. I love Andrea’s style and her projects using independent pattern companies. I especially like this dress and she takes some great pictures too! The first project with the fixed overlocker has been the Coco from Tilly & the Buttons. I’ve had the fabric and pattern hanging around for a few months. 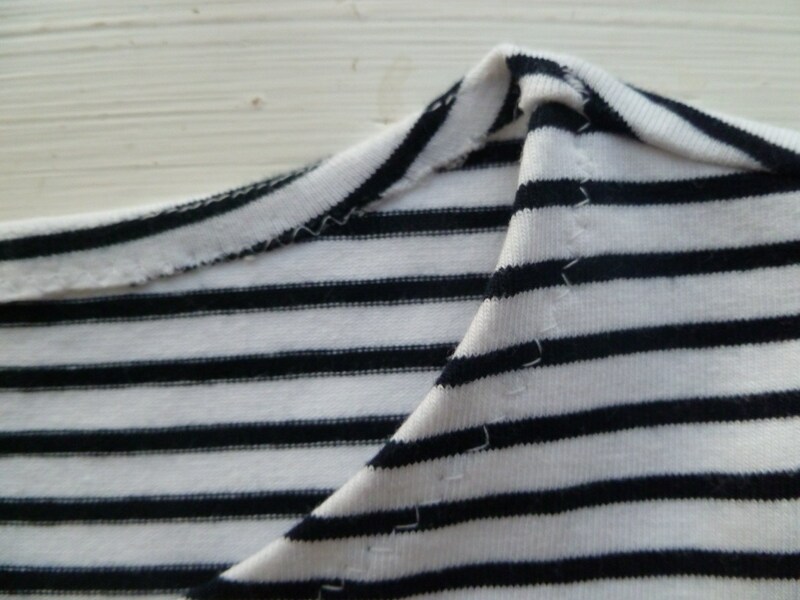 Earlier in the year I spent ages trying to find a good quality yarn dyed Breton stripe fabric. I kept coming back to Dragonfly fabrics but not buying it as £19.50 per metre seemed just too much to spend. When a 10% discount code came up I decided to go for it. I measured the pattern before I ordered and bought the bare minimum I needed, 1.30mts. In fact I only just had enough fabric, if I hadn’t been able to cut my sleeves ‘upside down’ I would have been stuck. It took me ages to think of doing that! I obviously lost a few important cms in the pre-wash.
You get a really quality pattern for your £12.50. It’s printed on proper paper, not tissue and you get a colour photo booklet for the instructions. 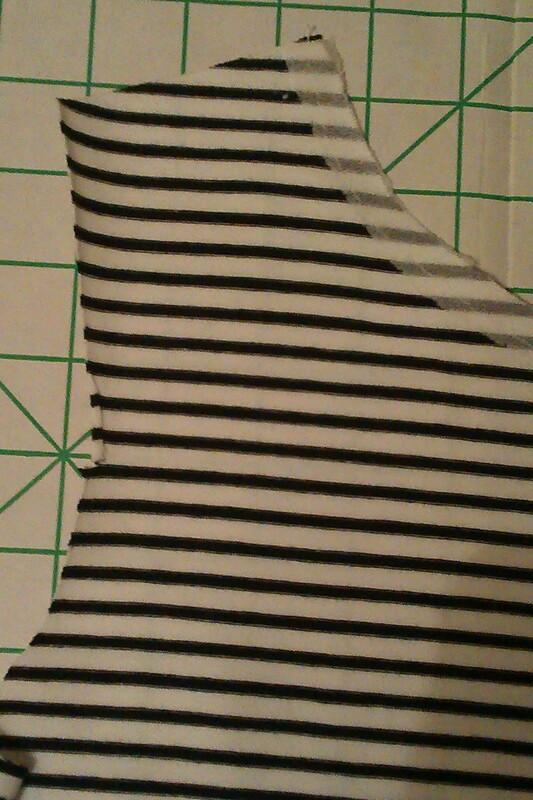 I didn’t enjoy cutting this striped fabric out, it was making my eyes go funny! Despite all the thoughts a few months back about cutting mats and rotary cutters I still haven’t got around to getting them. One tip in the instructions is to use some type of stabiliser around the neck edge to create a strong finish. It suggests fuse stay tape or hemming tape. I have some fusible knit interfacing from Sewbox. I applied a 1cm strip around the front and back neck edges. I used clear elastic to stabilise the shoulder seams and then stitched all seams using the 4 thread overlocker, it is so quick! I used a zig-zag stitch to neaten the neck edge as suggested in the instructions. I didn’t think I’d like the look of this but it looks much better than I thought. I fitted it before I hemmed the sleeves and body and didn’t like the way the hem had such an A line look to it. I wasn’t too sure about this when cutting out the pattern as the slope to the side is really obvious. You can see from the finished garment on the pattern cover that it has this look. I left out the side splits and took the side seams down to the hem trimming away some of the width. I also thought the top was too long and recklessly trimmed off 3inches. I don’t know what I was thinking, well, it was nearly midnight and I was determined to get it finished. The finished length isn’t too short but could have been longer. I must have chopped of £1.50 worth of fabric! 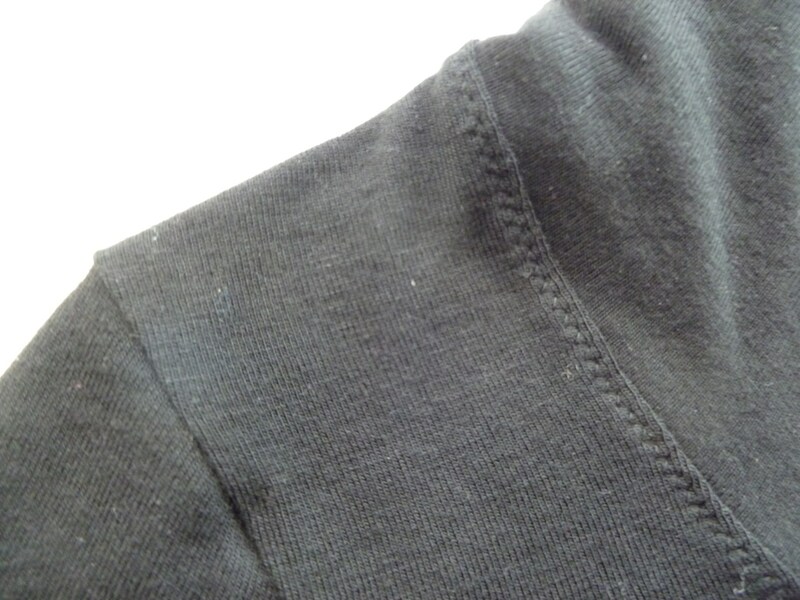 I also had to take out some width from the sleeves, an extra 1.5cm on to the current seam allowance. 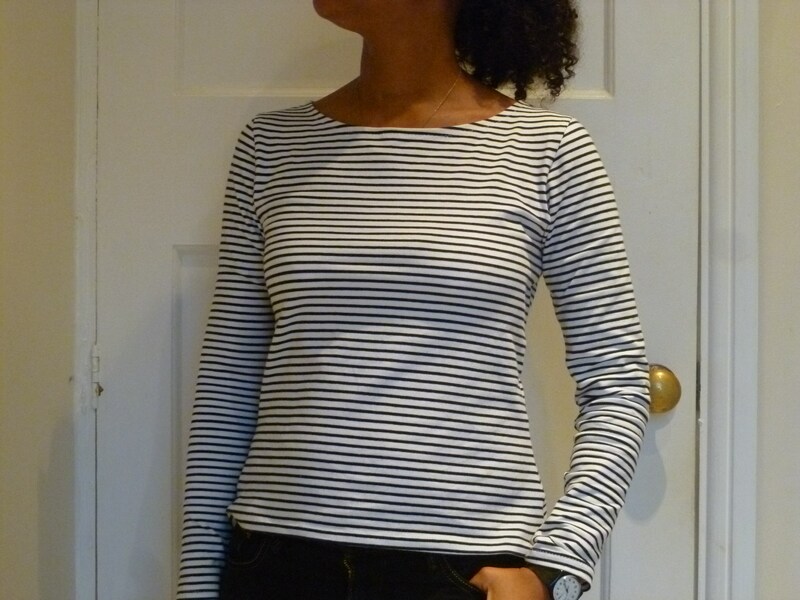 I finished the hems with a zig-zag like the neck edge. I had been anticipating making this for ages and when I finished I felt a bit flat. I had spent £12.50 on the pattern (plus what ever the P&P was) over £25 on fabric with P&P and was it worth it? I’m a bit annoyed with myself for taking too much off the length but it’s in no way too short, I think that during the colder months I’ll just need to wear a vest underneath. I’m Up And Running With A 4 Thread Again! Overlocker Joy! 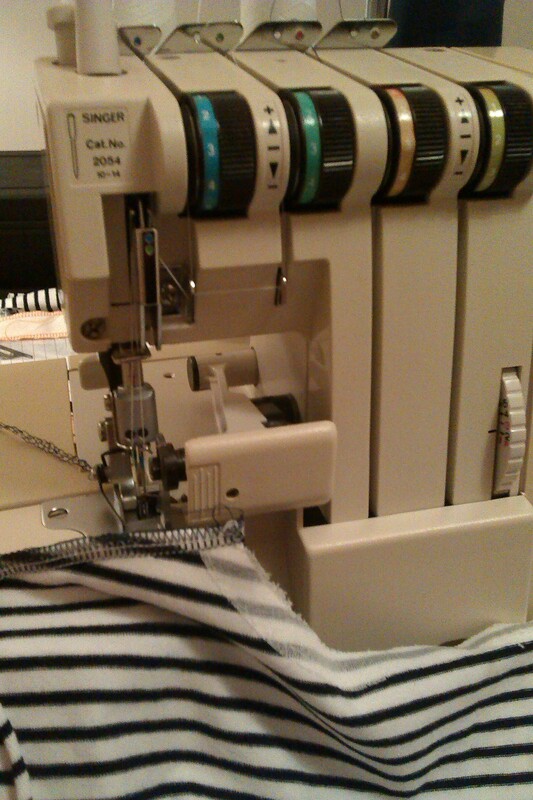 After two months away the overlocker is back, fully serviced and fixed. Bambers in Eccles have done a great job. It was ready after 4 weeks but with work and travelling I hadn’t had time to pick it up. The machine is now working as a 4 thread again with new top and bottom knives. Singer 14U overlocker up and running as a 4 thread. Woo Hoo! The work cost £98 which was what I was expecting, I was hoping for under £100. I’ve had this machine for nearly 25 years. It’s a Singer 14U 134. I bought it from my mum’s Freemans catalogue when I was a teenager and if I remember rightly it was £349, which at the time was a fortune. I paid for it monthly from my wages as a Saturday girl. Bambers have warned me that it’s getting harder to buy needles for this machine. You can still buy the standard needles in the UK but the ball point needles I had to have sent from the US. Bambers don’t rate Singer machines well, in fact they told me that some just aren’t worth fixing but with this being older and made in Japan it’s worth keeping hold of. The main reason for getting the machine fixed was for sewing knits. 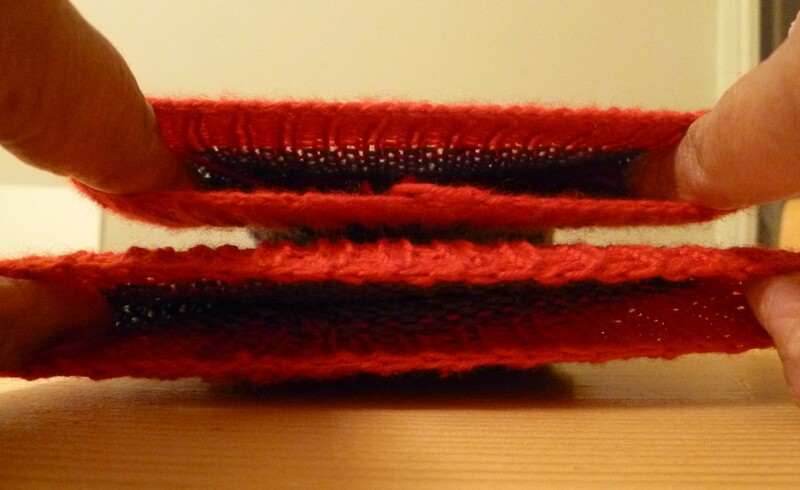 I’ve sewn all my knits so far on my standard machine using the triple stretch stitch and then using the 3 thread overlocker for neatening the seams. It works well but take so long. 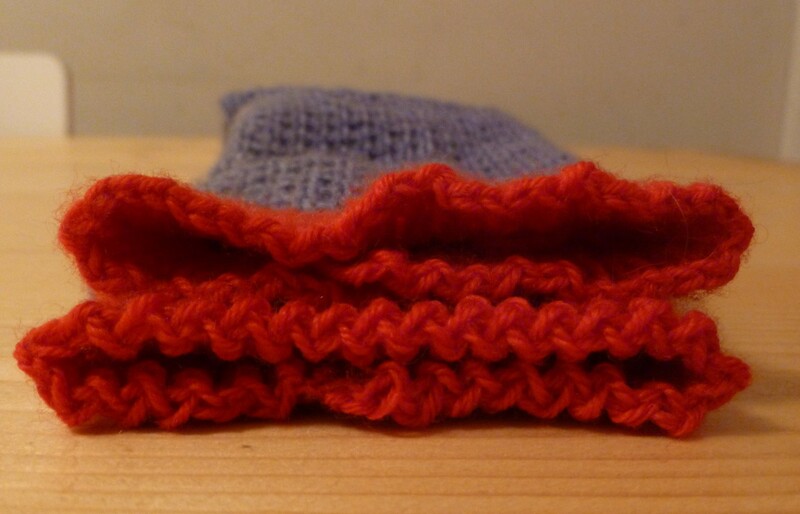 So being able to stitch the seam and neaten in one go would make sewing up knits really speedy. So I was quite nervous when I came to give it a go with the ball point needle and jersey fabric. But all is fine, it worked like a dream! I’ve just started sewing up a Coco top and so far so good.